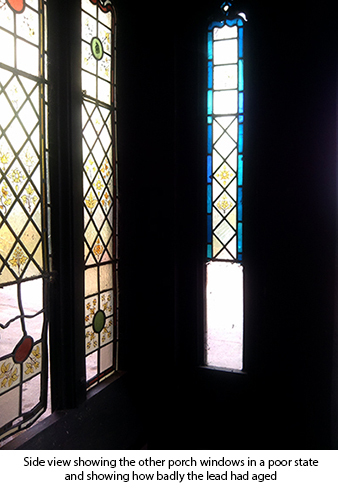 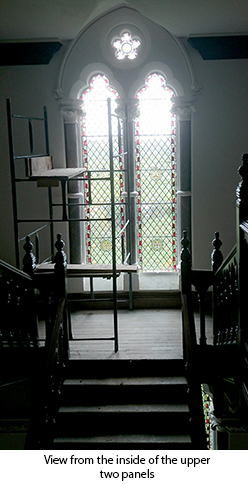 We removed two large window sets at Bryngwyn Manor and a set of smaller windows in the porch. 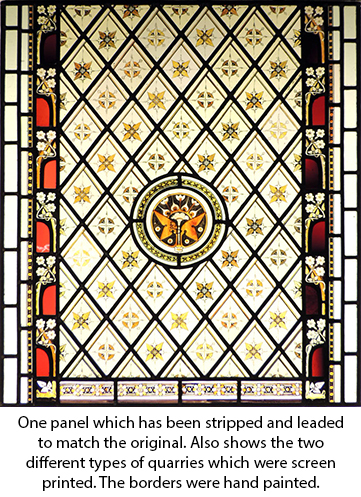 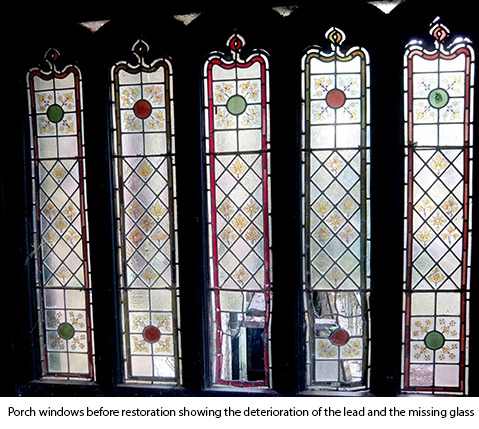 The large windows were missing several screen printed quarries, these were reproduced and the windows remanufactured using lead came to match the original. 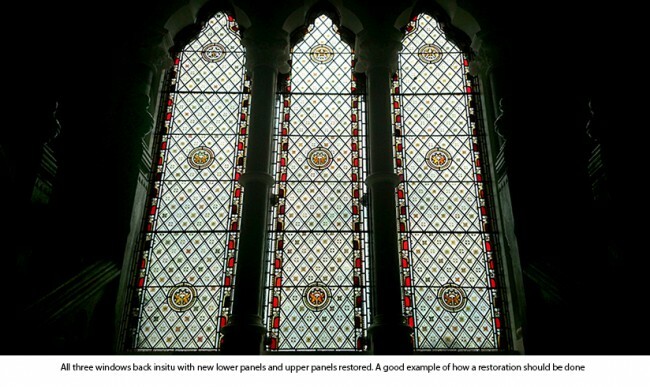 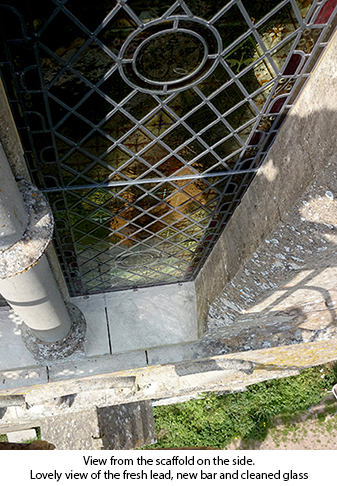 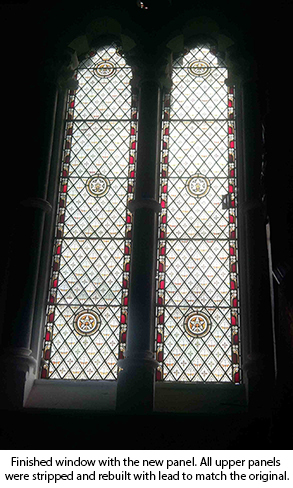 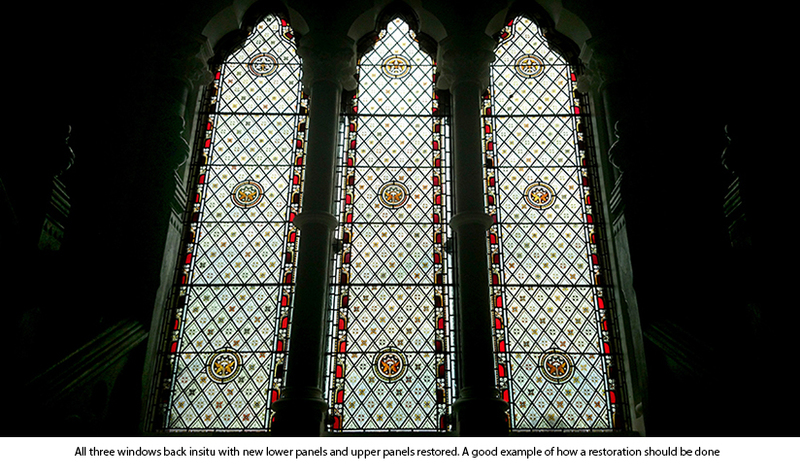 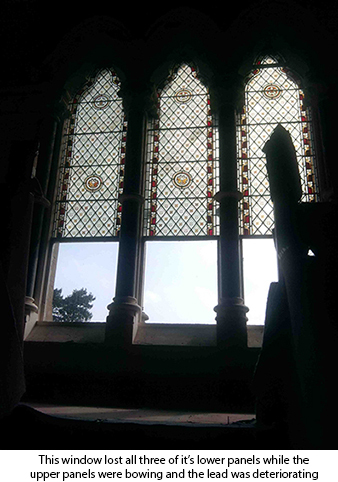 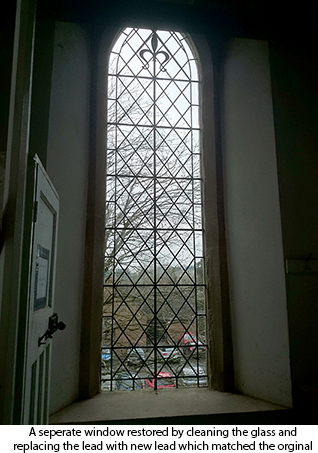 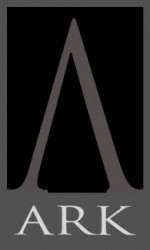 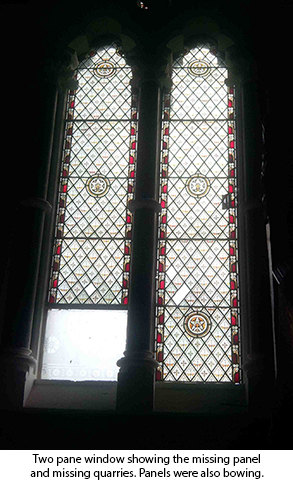 The smaller windows were cleaned and repaired, broken or missing glass replaced and sections of the windows re-leaded.